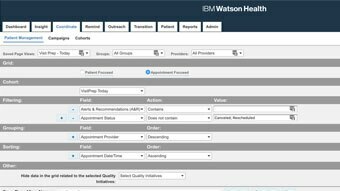 IBM® Phytel® Coordinate enables providers to automate the care management process by providing care teams with an advanced tool kit to risk stratify patients and create personalized, automated interventions to better manage chronic conditions and optimize each patient encounter. 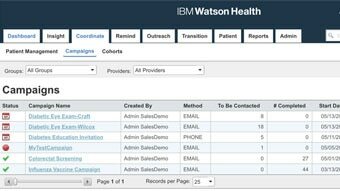 IBM® Phytel® Coordinate aggregates clinical data providing a quality lens delivering metrics and dashboard reporting that enables providers to evaluate and measure their organization’s effectiveness across various quality initiatives. Accelerate delivery of care to at-risk patients. Identify and address gaps in care. 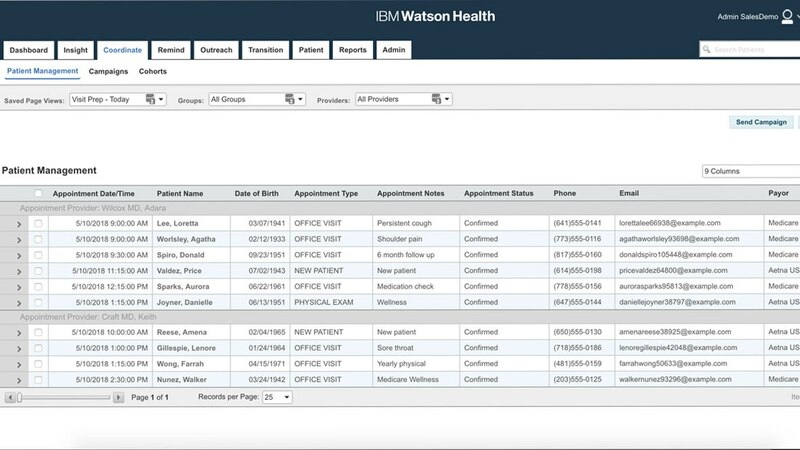 Consistently monitor and communicate with patients at scale. Increase productivity. Avoid expensive errors and oversights. Significantly reduce need for data analysts and dedicated IT staff. Expedite performance reporting. Monitor individual care providers and facility performance. Simplify transition to a PCMH model of care. Help achieve alignment with the latest quality measures and initiatives.